It's incredibly hard for me to believe that this is my 200th Weekend Cooking post. I really had no idea when I wrote that first post, almost four years ago, that I'd still have a backlog of ideas for this weekly meme. Thanks so much to all of you for joining in on the fun over the years. It's been a long time since I've grabbed a stack of cookbooks from one of my shelves to share with you. So here is another edition of a look at my cookbook shelves. I'll start at the top of the photo and work my way down. For a closer look at the spines, click on the photo to enlarge it. 1. Every once in a while I think Mr. BFR and I are going to transform ourselves into cocktail drinkers, so I pick up a fun book on mixed drinks. Gary Regan and Mardee Haidin Regan's New Classic Cocktails (Macmillan 1997) has a lot going for it. Not only does it include the usual bar-tending tips and recipes but it provides a history for each of the included drinks plus some beautiful photography. Although the drinks are no longer new, several have indeed become classic: the Cosmopolitan and Lemon Drop, for example, were developed in the 1990s and are still with us. Recommended and useful. 2. I picked up several good books during my French phase, and I'm sure I bought Diana Shaw's Sweet Basil, Garlic, Tomatoes, and Chives (Harmony Books, 1992), for the title alone. As the subtitle says, this book is all about vegetables from Tuscany and Provence. Oddly enough, the only recipe I remember making from it is one for stuffed grape leaves--not a dish I associate with Italy or France. Apparently Greek is (was?) popular in Aix-en-Provence. The grape leaves were good but not particularly spectacular. Neutral recommendation. 3. Sitting comfortably next to the last book is The Provence Cookbook by Patricia Wells (HarperCollins, 2004). I would buy pretty much any book Wells wrote, and this is one I'm happy to own. I love the wine recommendations, spotlights on local growers and winemakers, tips on technique, and the descriptions of the French countryside. The recipes are easy to follow and wonderfully appealing. Recommended. 4. In the old days (meaning before the Internet) I devoured the Wednesday New York Times, and one of my favorite columns was "The 60-Minute Gourmet" because the recipes were always winners. Cooking with the 60-Minute Gourmet by Pierre Franey and Bryan Miller (Times Books, 1999) is a wonderful collection of 300 recipes that originally appeared in the newspaper. If you find this or any of the 60-Minute Gourmet books for sale, don't hesitate to buy. The recipes have stood the test of time, and I still love cooking with Franey. Highly recommended. 5. I bought South American Cooking by Barbara Karoff (Aris Books, 1989) because when I was a graduate student I lived in Peru for a few months while doing research. I thought maybe I would try my hand at some of the dishes I discovered when I was there. Sadly, I don't think I've ever cooked out of this book. Though now that I'm looking it through it again, I may be inspired. Unknown recommendation. 6. As many of you know, I love to bake bread, and Carol Field's Focaccia (Chronicle Books, 1994) is a beautiful book all about bread from Italy. If you're not familiar with Field, she is a well-known food writer who got her start in 1970s. Her recipes are always tasty and easy to follow. I love the great variety of breads in this book and the lovely photos. My favorite recieps feature fresh herbs and colorful garden vegetables. Highly recommended. 7. Judith Olney's The Farm Market Cookbook (Doubleday, 1991) is one of those books I look through a lot but never seem to cook from. The recipes are appealing, but I haven't yet been inspired enough to try one. I wish I knew why. Unknown recommendation. 8. Do you shop at the farmers' market? Belong to a CSA? Elizabeth Schneider's Uncommon Fruits & Vegetables: A Commonsense Guide (Harper & Row, 1986) could be your new friend. 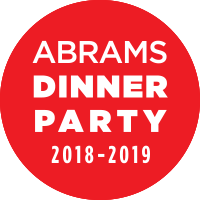 The book is arranged alphabetically and includes everything you need to know when your market basket includes veggies such as celery root and Jerusalem artichokes. Some of the included foods aren't all that uncommon anymore (arugula, kiwi) and some never were rare (Swiss chard, sour cherries), but all the advice and recipes are still useful and welcome. Recommended. 9. Sarah Leah Chase's Cold-Weather Cooking (Workman, 1990) is one of my favorite cookbooks. First, it's a Workman publication, and we all know how I feel about their books. Second, the recipes are homey, warming, and welcoming, bringing cheer to the winter months. If you were a fan of the Silver Palate cookbooks, you'll love Chase's solo venture. I turn to this for family meals, casual entertaining, and holiday parties. Don't pass on this one. 10. Mark Bittman's The Minimalist Cooks at Home (Broadway Books, 1999) is another cookbook based on a New York Times food column. I don't think I've ever cooked from this book but I have used it to help me "minimalize" my own recipes. A nice reference. 11. Oh gosh. Apparently I raided my New York Times shelf for this post. The New York Times Cook Book by Craig Claiborne (Harper & Row, 1961) shown here is the original edition (it was updated in the 1980s, and I have that one too). My copy is beaten up, with a ripped jacket and broken spine and food-splattered pages. All 1500 recipes found within originally appeared in Claiborne's newspaper columns. I'm not sure what I can say about this classic book, except, well, it's a must have for any serious cookbook collector. Highly recommended. 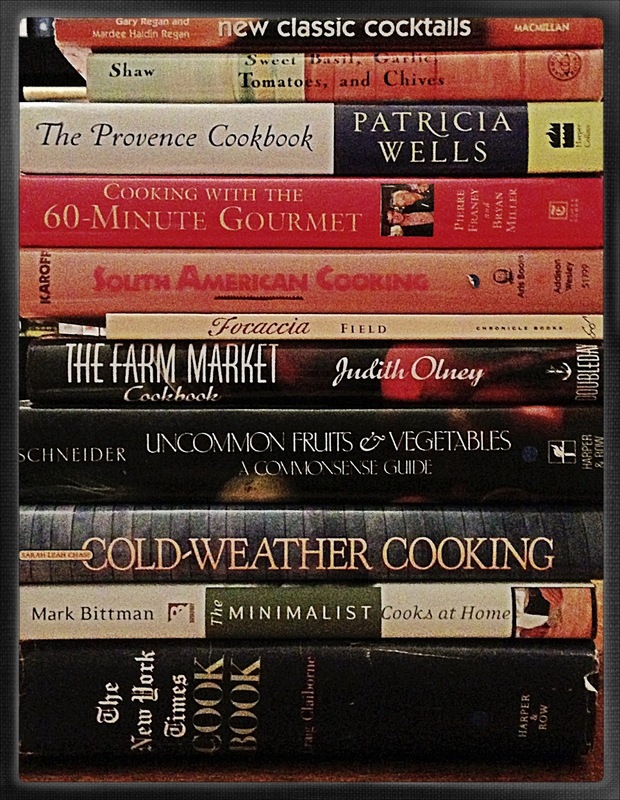 I hope you enjoyed this look at one small section of my cookbook collection. I have no idea how many of these books are still in print, but you can always look at used book stores, your library, and flea markets. yes, sometimes I think I will become a cocktail drinker too...I am still it search of the perfect one and need to check out that book! in the meantime, perhaps I will stick with tea...which is the subject of my post this weekend. I love getting a glimpse of what other folks have on their bookshelves, be it cookbooks, fiction or whatever. We have some similar taste here. I have the Bittman book, the 60 minute gourmet and Patricia Wells. Love the sound of Diana Shaw's book and will surely check it out. You have inspired me to head over to my local library used bookstore and peruse their cookbook section. The 60-Minute Gourmet is one I will be on the lookout for. I'd love to sit in your kitchen and read to you while you make bread. Oh I just checked my library and they don't have Cold-Weather Cooking. I was really hoping to check that one out. I'll have to check with our Michigan E-Library system to see if any other libraries in the state have it. I like the idea of a cookbook dedicated just to cold weather. Love seeing more books from your amazing collection. The only one I have is the New York Times Cookbook, and I have made a few recipes from it over the years. I need to read more of Patricia Wells' work. I think I would like The Provence Cookbook by Patricia Wells and Carol Field's Focaccia. Thanks! Sweet Basil, Garlic, Tomatoes, and Chives sounds divine to me! I love a peek into your cookbooks! Mine is much smaller and I buy in patterns..lately southern foods, and biscuit or baking cookbooks! I'm awful about using them...which maybe why my husband shakes his head when I buy a new one...ha ha. Thanks for sharing. Congratulations on your bi-centenary! That's quite an achievement! Oooh! So many new ideas for my rent before buying scheme. 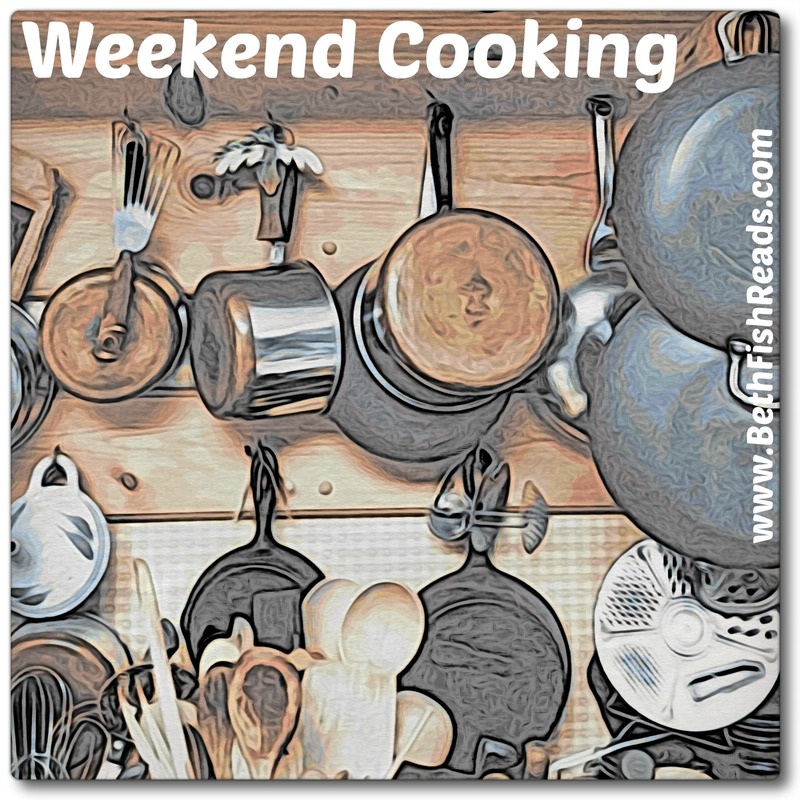 Congratulations on your 200th Weekend Cooking -- and thanks for hosting this fantastic meme. I've gotten so many ideas from it! 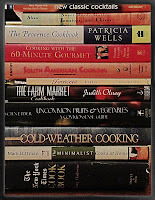 There's so much history associated with your cookbook collection - I love it! It also makes me long for the cookbooks I (still!) have stored at my parents' house. I need to get those the next time I'm back and really start working my way through them again. 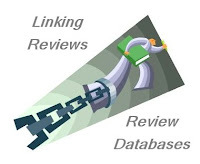 Hi Beth, I just stumbled upon your blog via Tina at Squirrel Head Manor. 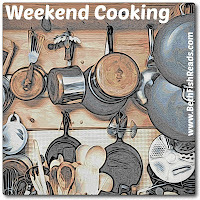 Can't believe that after 200 weeks I did not know about Weekend Cooking before. Anyway, I'm thrilled to have discovered it and have joined in with a Tahini Soup from the wonderful Tessa Kiros book, Falling Cloudberries. Love getting this glimpse of a few books from your collection - definitely a few there that I would like to add to mine. Congratulations on reaching such a milestone with this particular meme -- 200 posts is amazing!! I absolutely adore both of Sarah Leah Chase's cookbooks and actually READ them as well as use the recipes. I will most definitely check out the Focaccia cookbook. I am not familiar with this author, but I love Italian bread (well, any kind of Italian food), and would like to try making it at home. I love it when you take a look at your cookbook shelves! Congratulations on your bicentennial post! I have to spend time with your books stack -- I love a peek into your cookbook library. I know I have the NYT book, but I have to check some of the others. Wow, you really are a cookbook aficionado, aren't you?? That's some eclectic collection - and you said that's just part of it? As I've mentioned to you before, I have almost no cookbooks! The ones I do have I have hardly ever used. Some of these sound interesting, though - I will have to give cookbooks a try! So interesting to see what you've collected over the years.